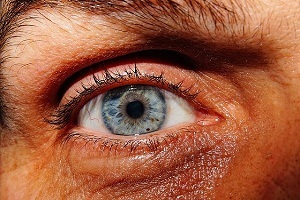 Welcome to DiseaseFix Section for Keratoconus – a corneal disease. Patients with keratoconus are sensitive to light; therefore they have difficulty in driving, suffer from eye strain, eye pain, headaches, etc. The main cause of keratoconus is a reduction in protective antioxidants in the cornea. 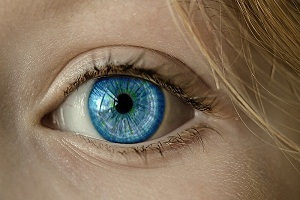 When antioxidants levels are low, the collagen weakens and the cornea bulges out. 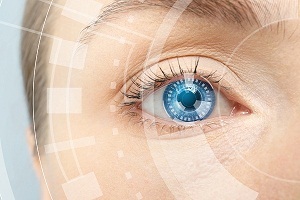 Hereditary factors are also sometimes contributing factors to keratoconus i.e. around 2 out of 10 people with keratoconus might have a parent connection with it. Mild keratoconus can be easily treated with eyeglasses and soft or gas permeable lenses. Hard contact lenses are also used in some cases. Other treatment options for severe keratoconus cases are use of intacts, collagen cross-linking, and corneal transplant for a diseased cornea. For more information, check out Articles and Graphics below related to Keratoconus. Hope you enjoy the experience with DiseaseFix! Keratoconus is a non-inflammatory condition in which cornea gradually thins and bulges outward into a shape of a cone. This process of reshaping cornea is known as corneal ectasia. Keratoconus is a bilateral ocular disorder and may affect each eye differently. Most people with keratoconus have only mild forms of the disease. A cornea transplant may be needed when eyeglasses or contact lenses are not effective enough to restore the vision, or if medications do not help the painful swelling in eyes. A cornea transplant can be recommended by an eye specialist in many conditions which involve damaged cornea such as keratoconus. Keratoconus is classified as stage 1, 2, 3 and 4, which range from mild to severe cases of keratoconus. Each stage of keratoconus signifies steepening of the central corneal, morphological and topographical patterns of the cone in eyes. The treatment method for each stage keratoconus may be different.